With the huge amount of pictures that we take with mobile devices, organizing them can be a real pain. There are just too many photos. However, we just came across an app that makes in incredibly easy to organize all these photos: SlidePick. We had a chance to ask the team a few questions about their app. 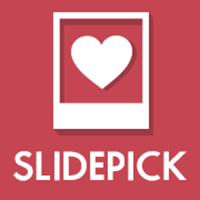 SlidePick simplifies and expedite the organization and management process of all your photos. Whether they are on your mobile device, cloud services, social networks or in the web. All through a simple gesture classification system (Swipes to pick) which optimizes the time and place to perform this tedious work. Today working with your photos, tomorrow with your videos, music, files and much more. Who is SlidePick aimed at? Who is the target user? Our costumer profile is people around the world who use recurrently using their mobile device to create, store and distribute content. In this first stage, just content related to photos. With whom we are currently working include, from women who use their mobile device to record, store and share the daily life of their children, to photographers with a little more expertise on the subject. Why did you build SlidePick? With the increasing use of smartphones, cloud storage and social networking, content of personal interest has grown exponentially. Because of this the cleaning and sorting process of this content is tedious and time consuming, where different tools are required to perform the same work. This leads to misuse of space and duplication of content in our platforms and devices. After validating this problem with our first users, we realized that this concept could be applied to other type of content, like videos, music or files. We’re 110% oriented to optimize organization and management processes, unifying this work in one place. We’ll keep adding value to our customers by giving them the option to organize different content as videos, music, files and much more. As usual this started with a common issue we men’s have…Dealing with what to give to our girlfriends as a present for a special day. We thought that a photo album was a great and easy idea to make, but that was our big mistake. We spent DAYS choosing the photos, it was a mess. Esteban and Stefano started their own company five years ago (www.mediodigital.cl), Matias is mentor and advisor in GarageUAI and also in Lean Startup Machine Santiago. We met a few years back where we worked in a very important collage competition with great results (Winners of best business project for the School Adolfo Ibañez, Chile). -Open as many comunications channels with our users as we can. -Get and analyze their feedback, comments and suggestions.